On the tail end of Pres. Obama’s trip throughout the Middle East, Secretary of State John Kerry made his first trip to Afghanistan in his new position, during which he announced the turnover of Bagram Prison (or Parwan Detention Center, as it’s now known) to Afghan control. The detention center has been a hotspot in US-Afghanistan relations since President Karzai began his repeated demands for the prison and associated air base to be placed under Afghan jurisdiction during President Obama’s first term. Yet during Pres. George W. Bush’s terms in office, Bagram was infamous for more than causing political tensions: it was known as the “Afghan Guantanamo,” a stopover spot for suspected terrorists to be vetted before they went to Cuba. Allegations of torture and other inhumane treatment abounded from prisoners, many of who were later cleared of any wrongdoing. 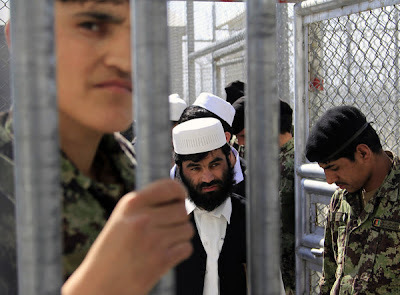 The New York Times brought national attention to the mistreatment of prisoners in Bagram when it published a 2005 investigation into the 2002 deaths of two detainees: Habibullah and Dilawar. Both men suffered extreme beatings at the hands of US service members who were both undertrained and undersupervised as they reached beyond the bounds of acceptable interrogations. Their methods of full-body suspension, threats with attack dogs, sleep deprivation, peroneal strikes, and more would later turn up in the case files at Abu Ghraib. In many ways, Bagram appears to have been the staging ground for many interrogators' later careers in the Gulf. While Habibullah was almost certainly guilty of supporting terrorists, Dilawar turned out to be a hapless taxi driver who was simply in the wrong place at the wrong time, and died for it. Several US military personnel were charged for the deaths, yet if the torture was systemic (as it appears to have been), it will take more than uprooting a few bad seeds to fix the problem. 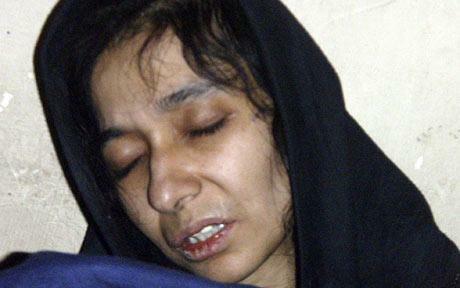 Another high profile – yet never confirmed – Bagram inmate is Dr. Aafia Siddiqui. Named as a courier and financier of Khalid Sheikh Muhammed, she mysteriously disappeared with three of her children in 2003, only to resurface in 2008 following her arrest in Ghazni, Afghanistan and subsequent detention in an American prison. Inmates from Bagram in 2003-2008 identify her as “Prisoner 650” or “The Grey Lady of Bagram.” The only female detainee at the center, she was noticeable to the male prisoners as she was transported through public areas. The evidence against her rests largely on witnesses who place her in a diamond deal in Liberia in the summer of 2001, when her lawyer claims she was at home in Boston with her family. The other evidence is paltry; it would take the actors of Law and Order less than an episode to exonerate her. Posing for graduation pictures on the Charles River in Boston. Most troubling is the fact that she was abducted with three small children in tow: her children were seven, five, and six months old at the time of her abduction. While two out of her three children have been identified and located after years of being held in detention, the whereabouts of the third remain a mystery. Given that conditions in Bagram are hardly conducive to child rearing, many fear the child is dead. 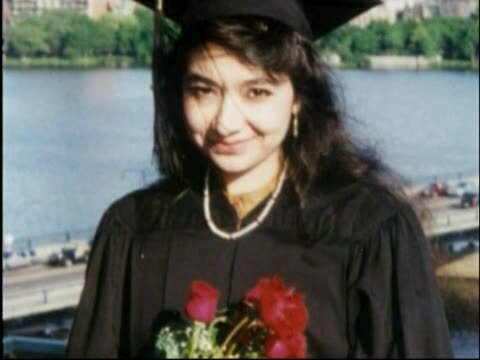 Ms. Siddiqui was tried in US courts and sentenced to 86 years in prison in 2010 for “assault with a deadly weapon” and “attempted murder of US personnel.” While not widely known in the US, Aafia’s case is a symbol of the failed War on Terror in the Muslim world, and her release is often among demands from both terrorists and the Pakistani government. The recent Algerian hostage-takers even called for her liberation, marking how far the story of her case has traveled outside of South Asia. 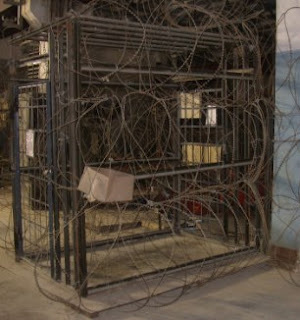 Following the damaging 2005 New York Times article regarding the prisoner deaths and a highly publicized escape by four prisoners that same year, the Department of Defense vowed to rebuild Bagram to be more secure, as well as more in line with international standards. It was renamed Parwan Detention Center and moved away from Bagram airbase to distance it from association with the US military. Yet internments there continued under American authority, much to the chagrin of the Afghan government, and as former inmates were released they told tales of abuse much worse than what they suffered at Guantanamo. Bagram also contains a rumored “CIA Black Site” known as the “black jail” to prisoners, where they describe being held in total isolation in freezing rooms where the lights are kept on all day and night. A 2010 BBC report led to the US government confirming to the Red Cross that there is a second site on the base where their rapporteurs do not have access. Bagram continued to be a thorn in the side of US-Afghan relations even after prisoner treatment was upgraded under the Obama administration. In 2012 when service members accidentally burned pages of old Korans, they ignited deadly riots throughout Afghanistan and the Muslim world. The US announcement that it will be transferring all but a few dangerous prisoners to Afghan hands means that the site will definitely be “cleansed” of any evidence of wrongdoing before it officially turns over to Karzai’s administration. In many ways, however, the damage has already been done: damage to the US’s reputation, damage to human rights, and damage to the soul of a nation that prides itself on operating on a level above that of our enemies.